We had 30 days for the Lao Diaspora Project. While we were biting our nails at trying to reach our fundraising goal of $3,000 with less than a few days left, an anonymous donor hits us with a contribution of $800 to bring us over the edge and then everybody in the social media community went buzzing and started chipping in. We couldn’t believe it. Not only did we reach $3,115 (and counting) but we also received news of a generous grant of $2,500 from the BMPP Giving Circle, a philanthropic group run by Asian Americans here in Minnesota. That’s a grand total of $5,615 to document the Lao diasporic communities and make our stories matter. But our work doesn’t stop there. We still need more funding to bring this project to the next level. Continue to help our team expand our reach even more and gather compelling stories of our community by contributing to our e-fundraising page here: http://www.gofundme.com/4sw8jw. Make sure to share us with your friends and family. Over 80% of donations were from Lao contributors. That says everything about the power of generosity and compassion. We are amazed at what we can accomplish when we rally around an important project that means so much to our community. We are truly and deeply grateful. From all of us at LLOTP, we thank you for your love and support. 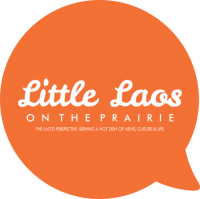 Make sure to keep up at www.littlelaosontheprairie.org with updates on our progress soon. We can finally afford a real workable website. More to come. We can’t wait to get started! Next PostMinnesota Transracial Film Festival 2013!